Get 20x the PC Optimum points at Shoppers Drug Mart Canada when you spend $50 or more on nearly anything in the store. 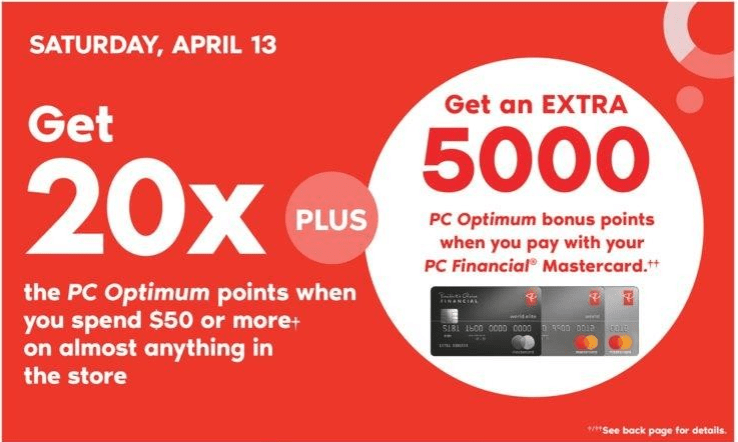 In addition if you pay with your PC Mastercard, you will earn another 5,000 PC Optimum points. Shoppers Drug Mart’s flyer has 1 Day sale. The Shoppers Drug Mart offers are valid today, Saturday, April 13, 2019.